PureGuardian | The Air Geeks, reviews of air conditioners, dehumidifiers and air purifiers. 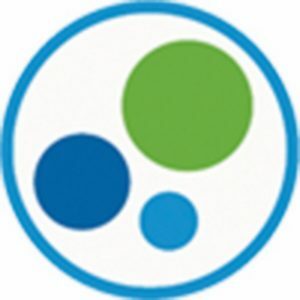 PureGuardian is a trademark name used by Guardian Technologies which is a consumer goods company that specializes in health and sanitation products such as Ultrasonic Humidifiers, HEPA Air Purifiers, UV-C Sanitizers, Essential Oil Diffusers and more. Guardian Technologies was founded in 2002 and to in Mentor, Ohio. Guardian Technologies products do in the industry and this has enabled the company to garner several awards over the course of the years. These include EY Entrepreneur of the Year (2016), WaterHead (2016), and Leading Edge. These are enough to prove the company’s commitment to providing products with unique innovation, operate with innovation and strive endlessly for customer satisfaction. It also enables the company to focus on creating powerful, safe and innovative technologies, with an overarching goal to help facilitate healthier, happier home environments for consumers worldwide. PureGuardian is a brand name used mainly on humidifiers the company produces. GermGuardian is also another brand name used for purifiers. Air purifiers are as important as humidifiers especially if you live in cities where it is virtually impossible to get clean air to breathe. Smog and smoke from industries and cars can be very dangerous if inhaled for a long time. Most of the smog particles are invisible to the normal eye. Air purifiers ensure that most of these particles are eliminated from the indoor air we breathe and thus improving its quality. In addition to pet dander, odors, dust mites, mold spores, and pollen, air purifiers can help reduce the germs floating in the air. 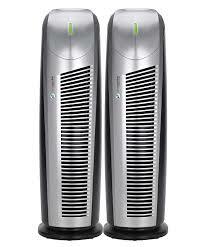 Guardian Technologies produces GermGuardian branded air purifiers of different sizes and functions. The GermGuardian AC5250PT model is a 3-in-1 model that is perfect for those who suffer constant allergy attacks. In addition to inhibiting the growth of mold, mildew and odor-causing bacteria, the filter also captures odors and uses UV-C light technology to get rid of germs present in the air. PureGuardian manufactures all kinds of humidifiers including ultrasonic, cool mist and warm mist. They also come in different sizes and come with different special features to cater to different needs. The Silver Technology used in ultrasonic humidifier ensures mold and mildew do not grow on the humidifier water tank. Some of the top-seller humidifiers produced by the company include H5225, H1175, and the H3250WCA. The H3250WCA model doubles as a humidifier and also an aroma diffuser. Since it is ultrasonic, the noise level of this appliance is extremely low and is barely audible. If you need to change the direction of the mist, you won’t have to rotate the whole machine as the nozzle can be made to face any direction to direct the moisture to any side of the room. The humidifier also has the ability to produce both cool and warm mist according to your need. You can additionally create a relaxing mood using essential oils without added cost by placing your favorite oils in a dedicated tray. The company also offers dedicated humidifiers such as those specialized for kids, stuffy nose, cool & warm mist, and multipurpose humidifiers. Below you will find our reviews for the best air products by PureGuardian. Thank you for visiting the Air Geeks!